Avocado is one of my favorite healthy fat superfoods, but many people I talk to don’t particularly like avocado, and have a hard time fitting it into their diet. Well I’ve discovered a ridiculously easy & delicious salad from Two Peas & Their Pod that will change your opinion of avocado forever. It’s only 5 ingredients and the dressing is simply lime juice. 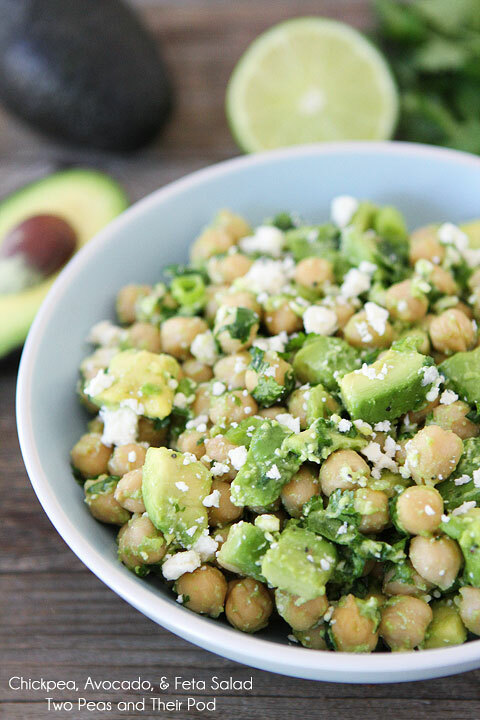 Avocado is also a source of protein so this salad can stand alone as a complete meal. Click here to get the recipe! 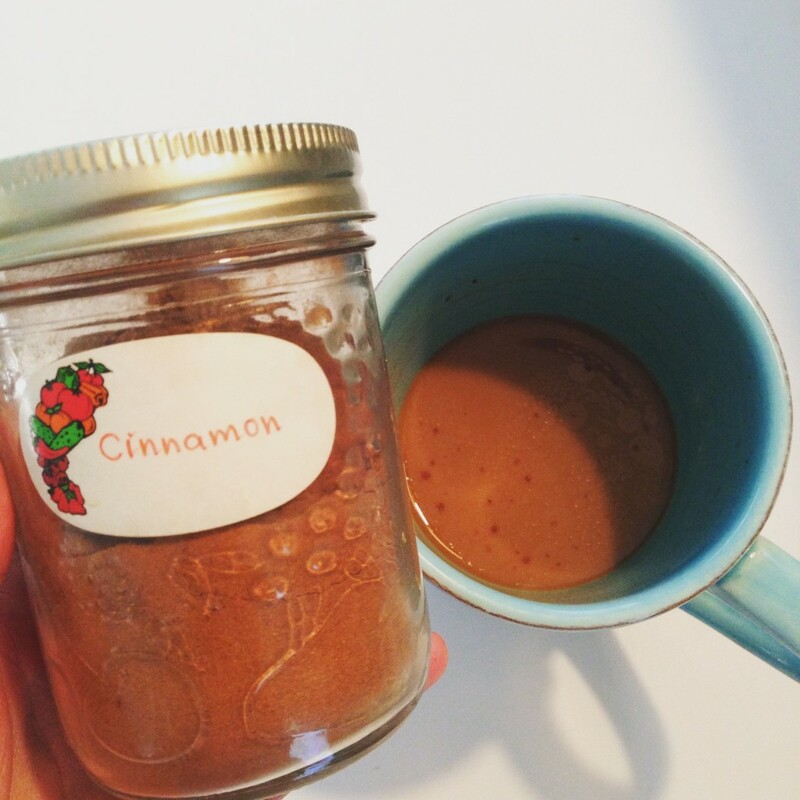 Stabilize Blood Sugar with a Pinch of Cinnamon! Cinnamon is one of my favourite spices. It has a comforting aroma and it can be used in sweet or savoury dishes. The best part about cinnamon is that it helps to stabilize your blood sugar. Keeping your blood sugar stable is important for a few main reasons: prevents insulin resistance (a pre-cursor for diabetes), curbs sugar & carb cravings, prevents heart disease and controls inflammation. An easy way to incorporate cinnamon is to sprinkle 1/8 – 1/4 tsp. in your morning cup of coffee or tea. If you don’t drink coffee, add it to your morning smoothie or cereal. I often have large cans of organic diced tomatoes sitting in my pantry. I keep them around for when I want to make stews, soups or chilli, but they also make for a simple, healthy pasta sauce. Most jars of tomato-based pasta sauces are high in sugar, salt and preservatives, but not this one! Simple pour a can of diced tomatoes into a bowl, stir in 2 cloves of minced garlic, 1 tsp. coconut palm sugar (cuts the acid), 1 tsp. Mrs. Dash and salt & pepper to taste. Pour it over your favourite whole grain pasta and garnish with goat cheese and fresh basil. Most of us are probably more acid vs. alkaline as popular foods like meat, bread and caffeine have an acidic affect on the body. In order to maintain proper health, feel more energetic, avoid illness and fight inflammation it’s important to be more alkaline vs. acid. One way to help achieve this ideal state is simply by adding organic lemon slices to your water. Not only is lemon alkaline (it’s true, you’d think it would be acid! ), but it’s also a great source of vitamin C and helps detox your liver. 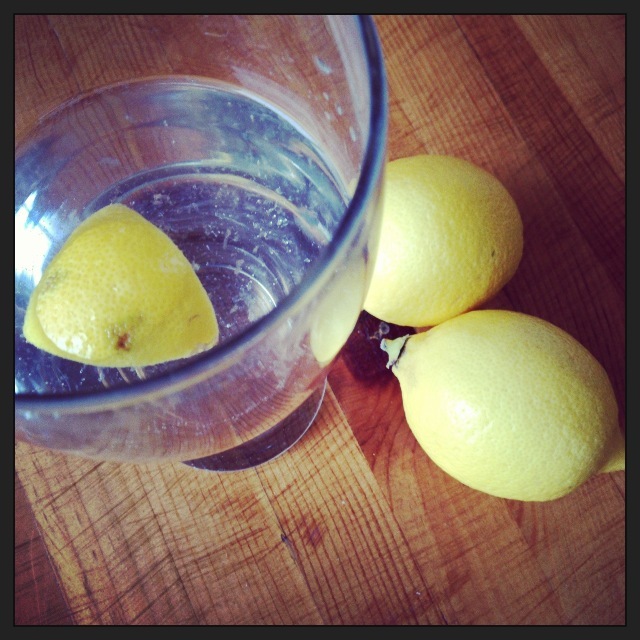 Make sure you buy organic lemons otherwise you’re just adding pesticides to your water – EWW. Supplements are usually my last resort when treating clients; I try to re-balance with food first. That being said, I usually recommend that my clients take a probiotic supplement every morning. Probiotics add healthy bacteria to your gut, which not only improves digestion and absorption of nutrients, but also strengthens your immune system. Living a healthy lifestyle is all about finding healthy alternatives and making healthy choices. There are so many ways to make healthy changes, but you have to start somewhere! Start with just a few changes a week, and before you know it you’re living a healthy lifestyle!